NLSIU is a premier Law University in the country. 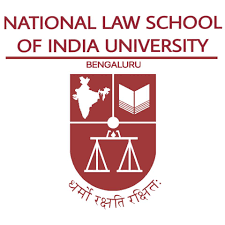 It was the first ever National Law University to be established in India. The school consistently ranks as the most prestigious law school in India. It has an intake of around 80 students in its undergraduate law programme, 40 in Masters of Law and 40 in its, recently introduced, Masters of Public Policy. You should preferably apply through the online mode, as is also encouraged by the University. To apply online, go to the University website. Step 1: Download the Application form from the University website. Print the form and fill in the necessary details like the choice of centre. Step 2: Affix two passport size photos in the required areas. Step 3: Submit a two page Curriculum Vitae (CV) in any of the desired formats. However, do not repeat the information provided in the application, such as educational qualifications and employment history. CV should be used as an opportunity to spell out some achievements that may not be captured in the application format. Note: Mark the packet containing the application with ‘MPP Application’. You will be selected on merit based on a two-step process consisting of a Policy Aptitude Test (PAT) followed by a Personal Interview. It shall have two parts. First part will be multiple choice section with negative marking. Second part will be descriptive analytical writing about a policy issue. Only those who obtain minimum of 40% of marks in the first part will be evaluated for the second part. First part of Policy Aptitude Test will have five components: General Knowledge, Numerical Problem Solving, Policy Aptitude, Logical Reasoning and English Language. Each component will have 20 questions. Each question carries 1 mark, and negative marking will be -0.25. All components have equal weight. Second part of Policy Aptitude Test will be for 50 marks and it concerns descriptive writing about an issue that will be provided. The second part will examine candidate's policy analysis ability as well as English comprehension. Both parts together, Policy Aptitude Test carries 150 marks. Total duration of Policy Aptitude Test will be two hours. Centres for the Exam: Bengaluru, Delhi, Kolkata and Mumbai. The Personal Interview is based on the PAT score at NLSIU, Bengaluru. Personal interviews have weight of 25% (or 50 marks).